After the civil war where many people were killed, properties and other valuables destroyed, Nigeria and some callously blind countries in the world thought that was the end of Biafra, they thought the quest to restore Biafra has been buried due to the undeserved injustice and wickedness that befall Biafrans during the war. They also thought the effect and pains experienced during the war will wash away the name 'Biafra'. But they blindly forgot that something that flows constantly in the vein like blood can never die silently because its already a part of you. Biafra is a great spirit it flows in the veins of all Biafrans. Nothing will stop Biafra from being restored. Biafra is a spirit and it flows in our veins. it's been transferred from one generation to another generation, through our blood stream. That's the very reason why Biafra will never die. You may ask, "If Biafra flows in the vein of Biafrans, why some are against it?" One thing I want you to understand and observe is this, Not everybody living in Biafraland are Biafrans, some are just strangers, some are mixed blood, some are not yet enlightened, while some are just scared. Anybody who calls himself a Biafran and still shamelessly vomit nonsense or speak ill of Biafra is a mongrel and a slave. That's the actual fact. A real Biafran who Biafra flows in his/her veins cannot speak against Biafra or against his own people. Real Biafrans don't behave like the black uneducated and greedy animals who speak or fight against Biafra or their people. If 100 people occupy a place and 97 of them posses something very significant in them which right from origin has always been in their generations whereas 3 among them don't have it, if a DNA test is conducted, you'll find out that those 3 are certified bastards. 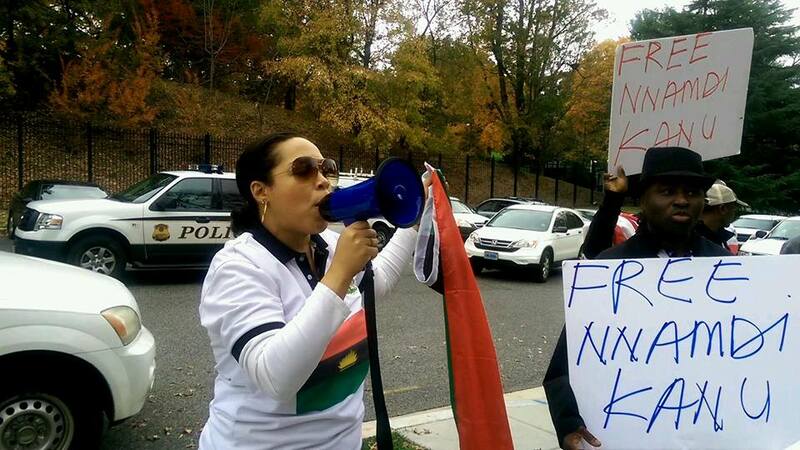 In the body, mind and blood of all Biafrans, Biafra is there flowing no matter what the situation maybe. The war didn't stop the quest for Biafra, the death of Ojukwu and other Biafra wardlords didn't stop it, the killing and arrest of Biafrans didn't stop it, the arrest of Mazi Nnamdi Kanu(The Leader Of The Indigenous People Of Biafra) didn't stop it. Not even the intimidation and inhuman treatment of the Nigeria government will stop the restoration of Biafra. Biafra flows in our veins like blood, it can never be stopped.